The management of packets of electricity will change the way the electricity is distributed. The outcome of the SRG project will allow utilities to interconnect energy between a variety of actors, including prosumers, consumers, distributed generators and energy storages, to enable multi-directional power flows. 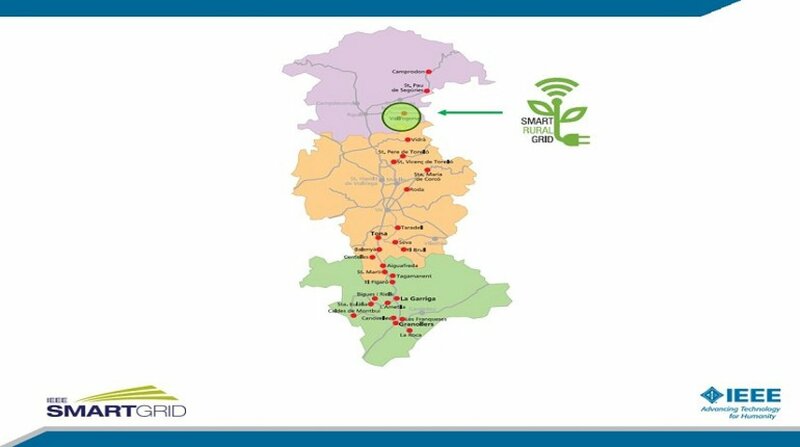 Such power flows are managed by an innovative hierarchical management tool, enabling the optimization of the operation of the rural grid while both isolated and connected to the main distribution grid. In the power plane of the architecture, power flows are controlled by exploiting the flexibility provided by a variety of wired and wireless communication technologies that helps to cope with geographical restrictions, along with an innovative so called Intelligent Distribution Power Router (IDPR) device. This device, which is based on power electronics and secondary batteries, permits to actually route power between each of the phases of the three-phase distribution system.